Rural people in Ontario living in the midst of 50-storey-high industrial wind turbines have been badly hurt, even seriously and irreversibly harmed, with respect to mental and physical health and safety, property values (loss of 10-48% or even 100%), livelihood, way of life, community harmony. Some families have had to leave their homes on the advice of doctors. The wind turbines’ 800-ton concrete bases, of which some of the material is toxic, go 50 feet down, far enough to hit aquifers. Livestock productivity, such as that of dairy cattle, is adversely affected. Birds are slaughtered by wind turbines. The Liberals’ Green Energy Act supersedes/overrides 21 pieces of legislation including the Clean Water Act, acts that protect the Niagara Escarpment and Oak Ridges Moraine, the Heritage Act. The Liberals’ Green Energy Act strips municipalities of their planning powers. More than 80 communities have declared themselves to be unwilling hosts. Most particulate matter emissions come not from coal power generation, as the Liberals claimed, but from construction, industry, agriculture, and most of all from dust from unpaved roads. Ontario electricity costs are the highest in North America as a result of the Liberals’ Green Energy Act. They replace power that costs 3-5 cents per kilowatt hour (kwh) with wind power that costs 13.5 cents per kwh to generate. Wind companies get 20-year contracts to sell wind power at far above market rates. “The system has to buy power whenever wind companies produce it” whereas standard power producers (nuclear, hydro) have to compete on the wholesale market. The Liberal government has to date done no cost benefit analysis, and no health study. The much-anticipated Health Canada two-year, $2 million research study of the adverse health effects of wind turbines is due in December of this year. However, it will apparently not establish causation or have conclusive results. 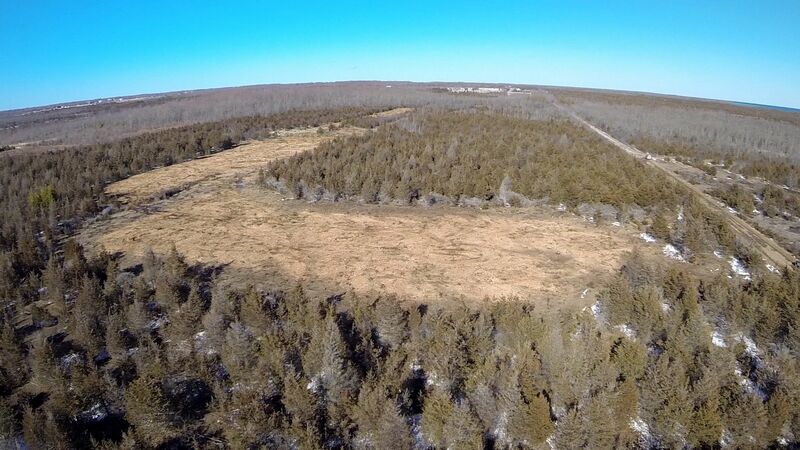 The 550-metre set-back for siting industrial wind turbines from homes, established by the Ontario government, is arbitrary and was not based on any research. In her current election campaign ads, Liberal leader Kathleen Wynne says she believes “government should be a force for good in people’s lives.” In her campaign she claims “I believe there is only one good reason to enter politics, and that is to help people,” yet the documentary showed her not to have had the basic decency to stop to listen when she was approached by industrial wind turbine victim Norma Schmidt. Mike Crawley, erstwhile president of the Ontario Liberal party, a former senior aide to former premier Dalton McGuinty, was at the same time CEO of a major wind developer that was proposing four or five projects in Ontario. In 2004 he was awarded a contract worth $475 million, in addition to others. People in the system have not dared to speak out. There is much, much more to learn and be alarmed and outraged about in this documentary film, which runs 1 hour, 36 minutes and may be purchased for $9.99 and downloaded. 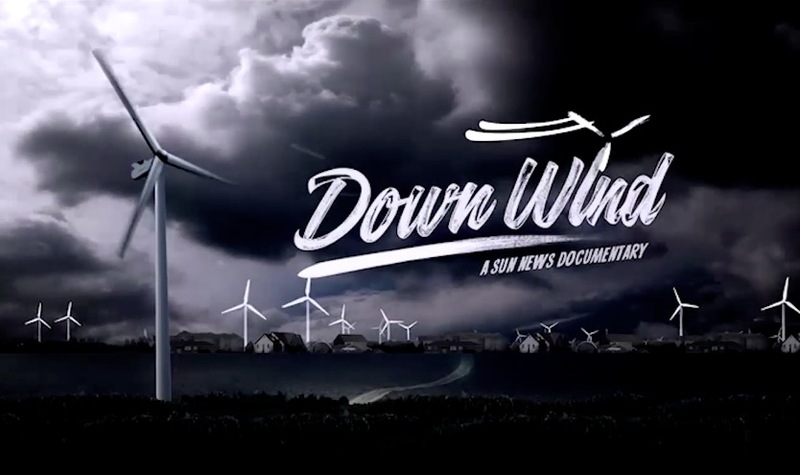 UPDATE: The full documentary Down Wind is now available on YouTube. Click here. In the upcoming Ontario election on June 12, any vote for the Liberals would appear to be one in favour of propping up a government that has proven itself to be working to enrich its cronies with the province’s treasure, not one that is interested in the welfare of the people it is mandated to serve, or in nurturing the economic health of the province. Progressive Conservative leader Tim Hudak has promised to repeal the Green Energy Act if elected.